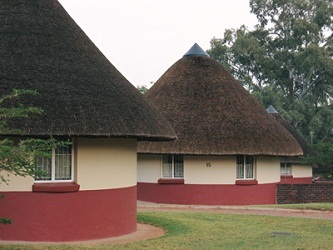 ATKV Buffelspoort Holiday Resort is a 4 star property in Mooi Nooi (North West) that offers accommodation in self-catering flats, rondavels, tent houses, villas and camping or caravanning. Mooi Nooi is ideally located only a short drive away from Rustenburg and Pretoria which offers a few things to see and do including a tour of City Hall, the Union Buildings, the Voortrekker Monument, Cradle of Humankind, Maropeng Visitor's Centre, Sterkfontein Caves, Hartbeespoort Dam, hiking, mountain biking, bird watching, game drives and visiting one of the many shopping centres, restaurants or bars that Pretoria has to offer. This 4 star property offers accommodation in four to eight bed flats that come with one to two bathrooms, kitchen, TV, microwave, double/twin or bunk beds and braai facilities. The eight bed flat comes with three bedrooms, double and bunk beds, bathroom and kitchen. The rondavels offer four/five and eight beds, bathroom, kitchen, TV, double bed/twin/sleeper couches or bunk beds.The tent houses come with four beds, bathroom, communal kitchen (req) and double or bunk beds. 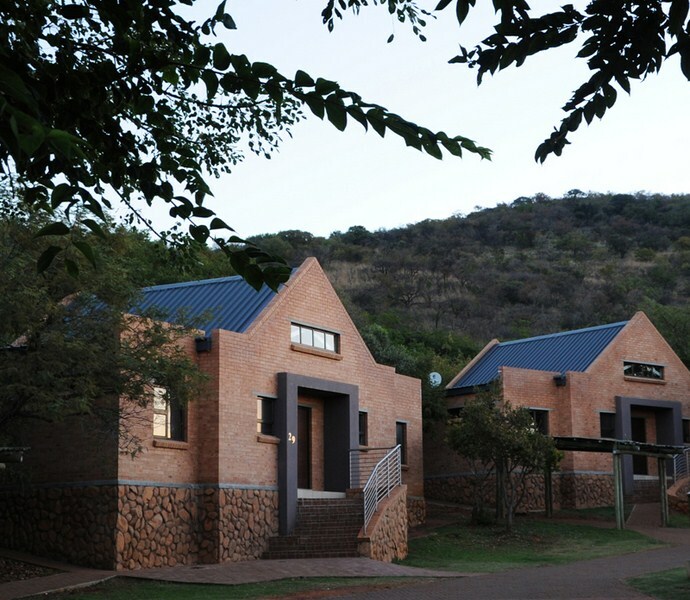 The Magalies Villas offer three bedrooms, kitchen, two bathrooms, living area, patio and air conditioning. 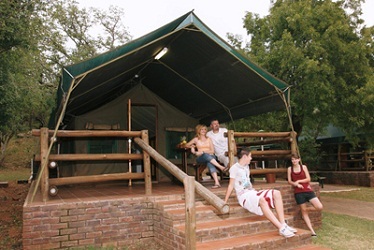 The camp/caravan site offers shady trees, paved stands, powerpoints, braai facilities, ablution and dishwashing facilities. 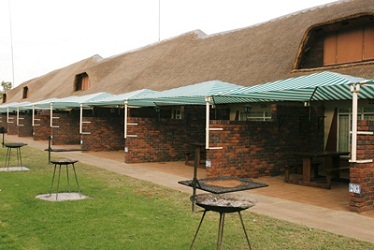 ATKV Buffelspoort also offers conference facilities for up to 800 delegates, golf, trampoline, putt putt, volleyball, tennis and squash courts, sports bar, swimming pool, lapa, Jacuzzi and supertube. Fifty percent of the total accommodation bill (including VAT) is required as deposit and should be paid on or before the deadline date to confirm the reservation. Deposits already paid will not be refunded upon cancellation of the reservation and neither will any monies be refunded when guests leave the resort sooner than reserved (see cancellations policy). Cancellations longer than 30 days before the date of arrival will forfeit 25% of the required deposit.Cancellations between 16 to 29 days of the date of arrival will forfeit 50% of the required deposit. Cancellations between 0 to 15 days of the date of arrival will forfeit 100% of the required deposit. In the event of cancellation as a result of death (or other acceptable reasons beyond the control of the party involved) only an administration fee of R50 will be charged upon submission of substantiating evidence. Add your guest book entry for ATKV Buffelspoort Holiday Resort.